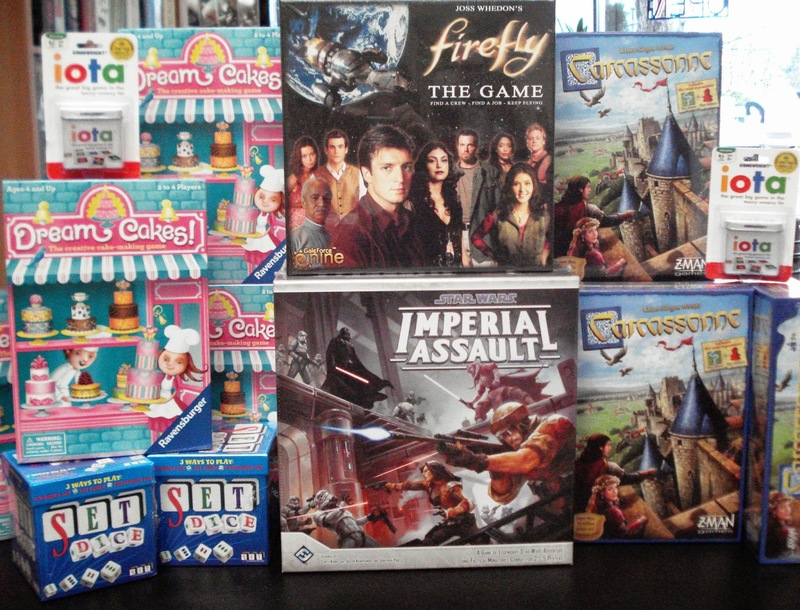 Board games keep coming in as we strive to have all of your favorite and must-have games available. It's here! Star Wars fans rejoice, Star Wars Imperial Assault has arrived. The Galactic Civil War rages on. After the destruction of the Death Star, the Galactic Empire's power is threatened. Stormtrooper legions surge across the galaxy in an effort to reassert their dominance, while elite Rebel operatives battle them at every turn. Against impossible odds, they engage Imperial forces in the struggle for galactic freedom. 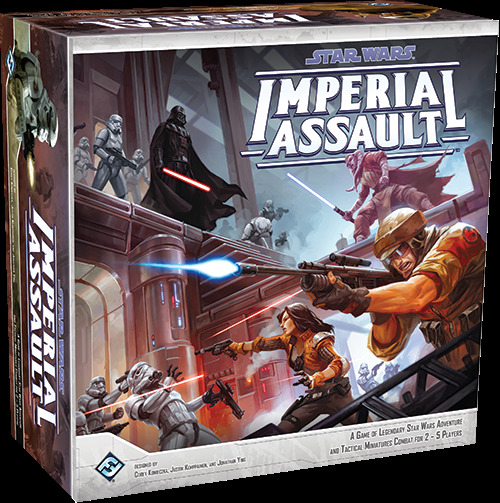 Imperial Assault is an epic adventure board game in the Star Wars™ universe. The mighty Imperial army and a cadre of deadly bounty hunters face off against daring rebel heroes in a series of tactical combat missions. Iconic characters like Darth Vader and Han Solo raise the stakes in the epic campaign. Each battle escalates towards a climactic final showdown between the Galactic Empire and Rebel Alliance. In addition, there are special rules for a one-on-one variant game that provides 2 players the the opportunity to battle head-to-head. Each player must gather their own armies and fight to complete conflicting objectives. Whether you choose to play the campaign game or the one-on-one skirmish game, your tactical decisions will decide the fate of the galaxy! 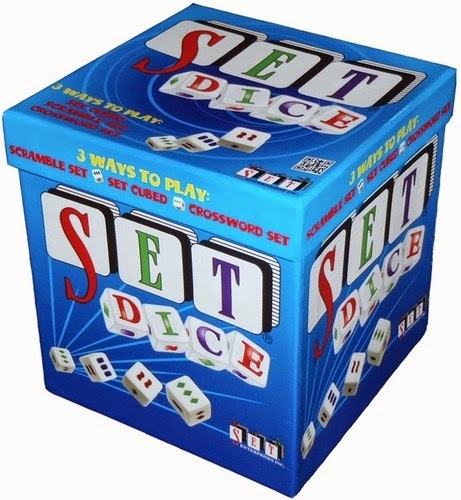 New in from Set Enterprises is SET Dice, a 3-in-1 board game. SET Dice contains these 3 games: SET Cubed, Scramble SET, and Crossword SET. SET Cubed slows it down and adds interactive strategy. Players connect their dice with those already on the board. Play up to three dice per turn making as many SET's as possible. Rack up the points by using bonus squares. Scramble SET is a fast and furious game. Empty all 42 dice out of the bag at one time in the middle of your playing area. Call SET's as you see them, there are no turns. Play continues until all dice are gone or no more SET's can be made. The player with the most SET's at the end of 5 rounds wins. Crossword SET combines skill and speed. Each player takes 10 dice out of the bag. All players roll their 10 dice simultaneously to start the play. The goal is to combine all your dice into a crossword-like grid made up of SET's. The 1st player to use all their dice making SET's in a crossword-like grid wins. Whichever game you decide to play, you will have fun with these custom over-sized dice. 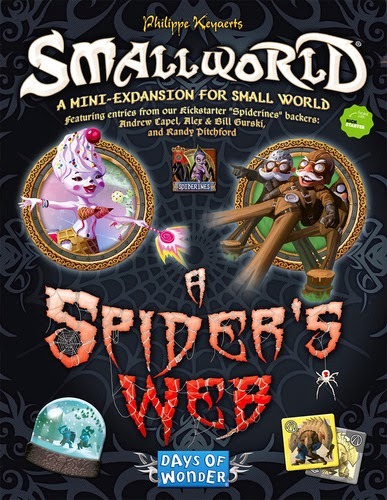 New in from Days of Wonder is A Spider's Web, a mini-expansion to the base game Small World. This expansion contains 3 new Race banners and tokes - Ice Witches, Skags, and Slingmen, and 3 new Special Power badges - Copycat, Lava, and Soul-Touch. 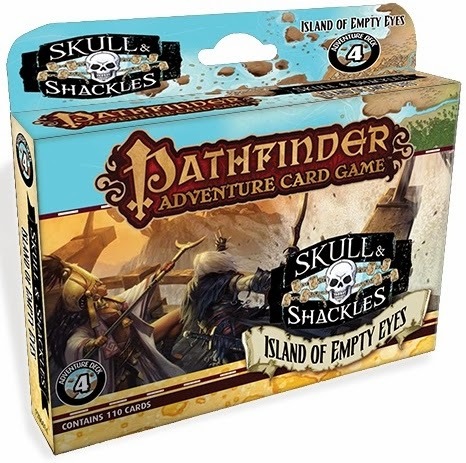 In this week is the next expansion Adventure Deck for Pathfinder Adventure Card Game: Skull & Shackles, Island Of Empty Eyes. The eyes have it! The time has come to claim your prize from the Free Captains' Regatta: the supposedly uninhabited island of Empy Eyes. The ruins prove to be a bit more inhabited - and dangerous - than they might have 1st appeared. With Island Of Empty Eyes Adventure Deck you must tame the island, throw a rollicking feast, and gain seats on the Pirate Council. This expansion contains new rare loot cards and 5 new scenarios, along with new monsters, locations, villains, and more. 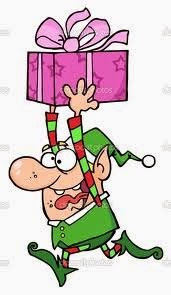 All of the games sitting on the shelves are eagerly waiting for Santa's elves!